No one can predict with any certainty what the fallout from Benjamin Netanyahu’s speech to Congress will be until after it takes place next month. And it’s possible it won’t take place at all. The prime minister could yield to the pressure to stay home, or events in Israel could prevent him from leaving the country. It is possible, however, to make one prediction about the speech and its aftermath without fear of being proven wrong. Neither the speech nor the ugliness surrounding it will immediately alter the fundamental relationship between the United States and Israel. That is because it is a relationship buttressed not merely by emotional or strategic considerations but, more significantly, by the power of the lobby. That power—manifested in the belief among US politicians that deviating from Israel’s position on any issue could result in a loss of campaign contributions or their diversion to an opponent—makes challenging the “special relationship” a very dangerous proposition for politicians at every level. That includes the ones who live in the White House or aspire to. Few are willing to risk it, as evidenced by the fact that so far only about two dozen Democrats have gone on record to say that they will boycott the speech. At the same time, it is clear that the speech and the controversy surrounding it are already negatively affecting the US-Israel relationship, chipping away at a once solid monolith in potentially significant ways. In fact, at least three of those effects are already obvious and are unlikely to disappear even if the speech should end up not being delivered as planned. The first is that support for the Israeli government is no longer the consensus issue it previously was. Not long ago, criticizing actions of the government of Israel automatically took politicians or journalists beyond the pale, leaving them permanently stained as anti-Israel or worse. No more, with criticism of Netanyahu’s visit emanating from across the ideological and political spectrum, from the New York Times editorial board to Fox News. Within the Jewish community, not only J Street but the Anti-Defamation League and the Reform movement (by far the largest Jewish religious denomination) have urged that the speech be canceled. Americans overall believe the U.S. should stay out of the Israeli-Palestinian conflict, with 66% in the new poll advocating the U.S. remain neutral. Of those who do support picking a side, the majority, 29%, back Israel, while only 2% support Palestine. Even Republicans, typically seen as the party offering the strongest defense of Israel, are split on whether the U.S. should officially support Israel in the conflict. Forty-nine percent support backing the nation, while 47% say the U.S. should stay out of it. And a significant age gap suggests U.S. sentiment may, in the long term, be moving further in favor of neutrality in the conflict. While 56% of those age 50 or older believe the U.S. should stay out of the Israeli-Palestinian fight, that number skyrockets to 75% of Americans under age 50. The second is that support for Israel is becoming a partisan issue, with Republicans far more ardent about it than Democrats. This is a reversal of past practice, when Republicans took a back seat to Democrats, particularly in Congress, in championing the Jewish state. All of a sudden, it seems, virtually all the Republicans in Congress and those out campaigning for the presidency are stridently supporting Netanyahu, while Democrats are either keeping their heads low and saying nothing, blaming House Speaker John Boehner for inviting him or—and this is new—flat-out criticizing the prime minister for disrespecting Obama and interfering in domestic US politics. Although it hasn’t happened yet, it is beginning to appear at least possible that the dream of Jewish Republicans (like Sheldon Adelson) that their party will ultimately own the Israel issue could indeed become true. However, according to the polls, even if Republicans become the American Likud, that will not move Jewish voters to the GOP. In 2012 only about 5 percent of Jewish voters cast their vote based on Israel policy rather than on domestic issues like the economy, healthcare and Social Security. With only 19 percent of Jews categorizing themselves as conservative or leaning conservative, putting the lobby’s eggs in the GOP basket seems a self-defeating proposition. That is why my sources (I used to work at AIPAC) tell me that the lobby and its satellite organizations are furious about Netanyahu turning support for Israel into a partisan (Republican) issue. Say what you will about the lobby, historically it has carefully nurtured bipartisanship, with every AIPAC legislative initiative sponsored by an equal number of Republicans and Democrats. Even the legislation that would overturn Obama’s Iran policy by imposing new sanctions while negotiations are taking place had Senators Mark Kirk (R-IL) and Bob Menendez (D-NJ) as primary sponsors. Netanyahu and Israel’s ambassador to the United States, Ron Dermer (a former Republican operative back before he immigrated to Israel), seem determined to change that, a goal also made clear by Netanyahu’s open preference for Mitt Romney in the 2012 presidential election. The third way the speech controversy is roiling the US-Israel relationship is that Netanyahu’s action, in challenging the American president and claiming to speak for all Jews when he does so, suggests that it is Israel and not the country in which Jews live and vote that is their homeland. This idea is anathema to the overwhelming majority of American Jews, and it could affect the US-Israel relationship in ways Netanyahu certainly does not intend. Think about what Netanyahu is doing. He is coming to the US Capitol to tell Congress that it should not support a president who is working to secure an agreement that president believes serves national interests, among which he has repeatedly said is the security of Israel. That is bad enough—a foreign leader going to Congress to tell legislators not to trust what the president of the United States says but to trust him instead. Add this from Netanyahu, also spoken last week, and it gets much worse. Netanyahu said he will address Congress, just as he visited Paris after last month’s terrorist attacks, as representing the Jewish people, obviously including American Jews—and, most significantly from the point of view of members of Congress, Jewish donors to their campaigns (or the campaigns of their opponents). And that has been Israel’s official position ever since, one reason the lobby (AIPAC in particular) is so emphatic in saying that it is an American organization, promoting the views of its American members and not acting at the behest of the government of Israel. One can argue about whether that is true, but its significance lies in AIPAC’s understanding that such assurances are necessary to maintain the support of American Jews, who will not tolerate anyone suggesting that they are not fully American. If American Jews feel that they are being forced to choose between the United States and Israel, there can be little doubt that they will choose the country they live in and to which they have always been devoted. Netanyahu is playing with fire when he even hints at such a choice. It is hard to imagine that Netanyahu anticipated all this when he and his ambassador engineered a trip to Washington that would help him win the upcoming parliamentary elections and destroy chances for an Iran nuclear deal. He will likely win the elections, and his lobby may be able to destroy the chances that an Iran deal will be implemented. But if he does so, it could be at an incredible price—nothing less than ultimately undermining the special relationship. At this point that relationship is still solid, but who knows what will happen if Netanyahu wins a fourth term, as now seems close to certain? A once solid edifice is cracking. 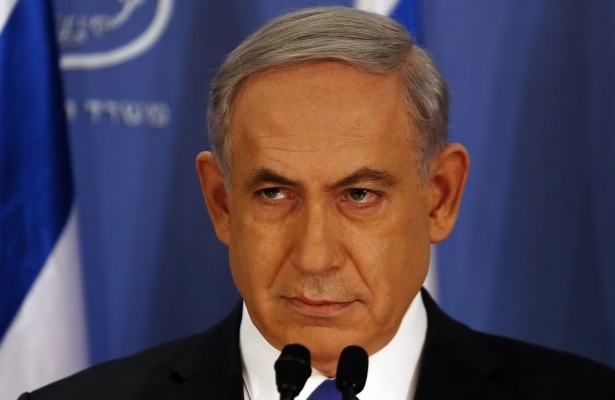 Read Next: M.J. Rosenberg on how Netanyahu set a new record for chutzpah.